The first annual "Write @ the Logan Library" conference takes place Saturday. Jan. 28, from 10:00 a.m. to 4:00 p.m. at the Logan Library (255 N. Main Street). Throughout his ten years of employment at the Logan Library, Jason Cornelius, adult fiction librarian, has wanted to coordinate a writing conference for aspiring Cache Valley authors. This year, however, Cornelius has jumped in with both feet, organizing the first annual “Write @ the Logan Library” conference. On Saturday, Jan. 28, from 10:00 a.m. to 4:00 p.m., the day-long event, which is free of charge to participants, will provide both aspiring and seasoned writers with tips of the trade as they attend breakout sessions and meet presenting authors. With 110 writers having already registered to attend, the conference appears to have widespread support. The authors will also host book signings throughout the course of the day, inviting conference participants to become more personally acquainted with their work. While preregistration is encouraged, conference registration will be offered on a space-available basis at the door. More information about “Write @ the Logan Library,” including a complete conference itinerary, is available at <a href=”http://library.loganutah.org/write/”>library.loganutah.org/write</a>. 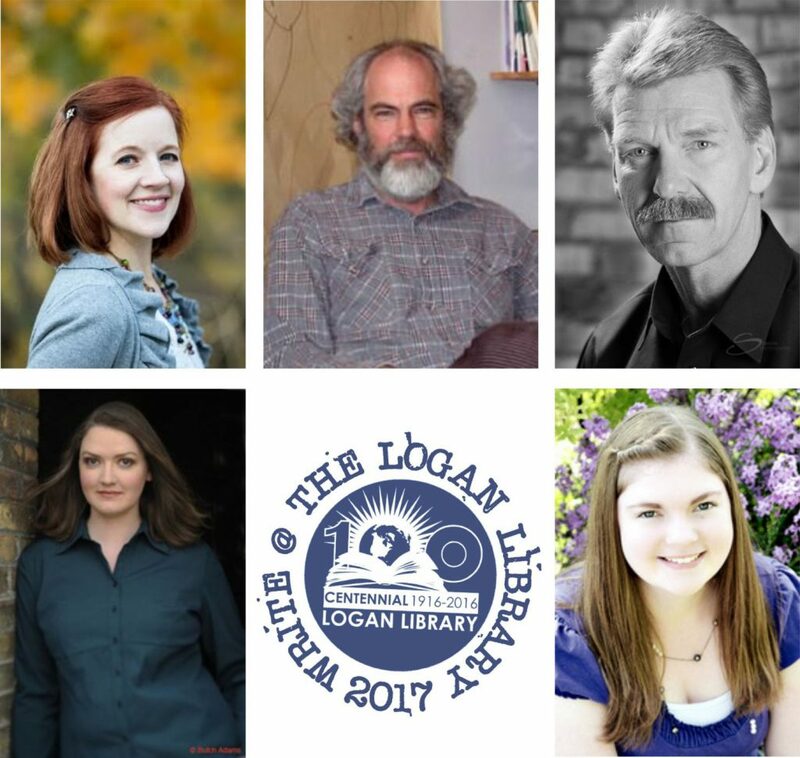 Clockwise: Utah authors Sarah Eden, Brock Dethier, Gregg Luke, Lisa Mangum and Heather Frost will present at the upcoming "Write @ the Logan Library" conference.